Alfresco Arch blog launches - keeping you up-to-date with our latest news. 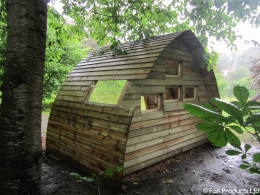 Beautiful bird hides for people of all ages to enjoy. 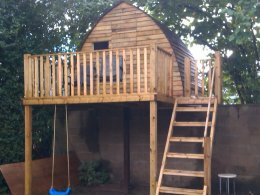 Includes disabled access. 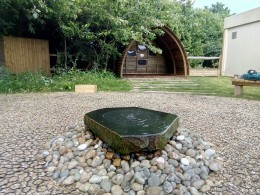 The Bird Hide within the peaceful garden at Alverstoke Primary School. 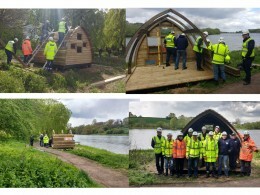 Bird Hide in Derbyshire, a corporate team build for the Severn Trent team. 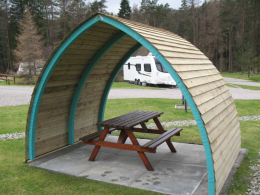 The range of Alfresco Arch products are brought to you by Pan Products Ltd. based in Lincolnshire. Designed to solve problems using beautiful arc shaped architecture. 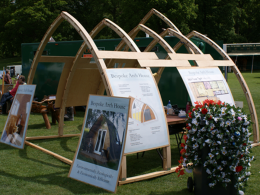 Whether you are a camp site looking for glamping accommodation, someone who would like an undercover BBQ area, or a garden office with a difference, we can tailor our designs to meet your needs. 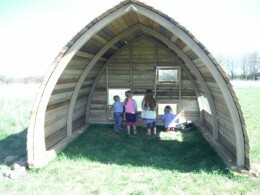 The Tree House / Play Arc provides a play area to be proud of, or a wonderful retreat for the big kids in the family. There are some things that demand more than just a garage. Cook and dine alfresco, whatever the weather with the Picnic Arc. 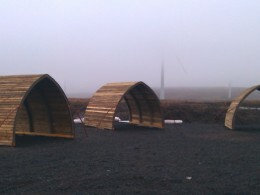 Picnic Arcs at Whitelee Wind Farm Cycle track, Scotland.These Arcs provide welcome shelter for cyclists who stop to rest and picnic in the Arcs. 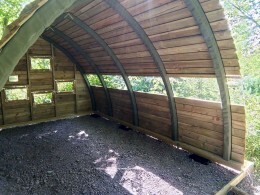 Our Bird Hides blend in to their surrounding woodlands and parks. A cost-effective alternative to tents. 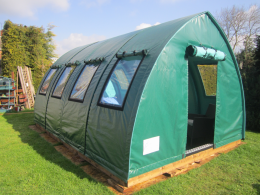 The Glamping Arc, no-fuss, many benefits. 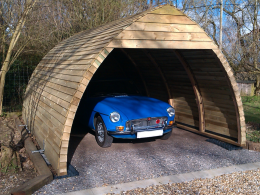 Our patented Tensile Arcs are the back bone of all our products. Available for purchase for your own structures. 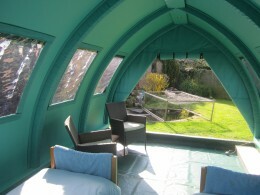 A home from home, interiors are finished to a high spec, providing a luxury glamping experience.